Scottish Green Party conference 2011 was a pretty subdued affair as might be expected after the poor election result in May. There were some real highlights, though. The speakers gave very interesting presentations on what it’s like to run a Green Council and how the Aberdeen By-pass can best be opposed. One thing that was very notable was the level of overdevelopment in the north east. Not only with a major new motorway around the city, but the destruction of Union Terrace Gardens and the Trump development at Menie Estate. The fringes were all well attended and produced passionate debate on the issues discussed. There is a significant mood change in the party around campaigning, and hopefully this will serve us well in the run-up to the 2012 Local Government elections. Most significantly it seems the party is moving toward a much more relevant position than was the case three or four years ago. At Party Conference in 2009 Scottish Left Review editor Robin McAlpine warned the party that its policy priorities appeared to the public to be largely irrelevant. At the time some in the party found this a pill too bitter to swallow and instead redoubled their efforts on those same intangible issues. At around this time I remember having a conversation with a senior party member who was arguing we should focus on our ‘unique selling point’ of ‘good governance’ – and no, I’ve no idea what that means either. There was, at one point, a serious debate about whether we should have an election theme in the Westminster election, with some arguing that no theme was needed. It’s little wonder the electorate had so little idea of what we stood for at this time. Two failed elections later it seems the lesson has been learned. 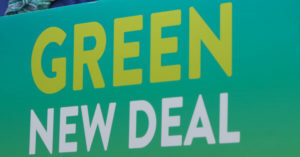 The party is now much more comfortable talking about the economy, talking about the social crisis that faces us and allowing a voice to the radical and popular Green agenda. We are moving beyond narrow environmentalism to more relevant issues like public services. There is also, finally, a recognition at all levels of the party that we need to have real street campaigning to add to the media work that has been the central focus of the past four years. 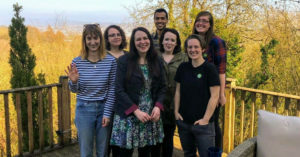 Hopefully this will create a change in culture where campaigners are no longer accused of being ‘a nutter’ (sic), on an ego-trip or of having ‘candidate-itis’ and that they may even have their work recognised by the party. It wouldn’t have been possible for the Greens to disappear up the electoral blind-alleys of the 2007-11 term if the party had a real campaigning culture. Quite simply the policy priorities that we were pushing would not have emerged had we listened to the electorate. Instead of wishing that the electorate were interested in our hobby-horses, we would have been able to judge how to match our message to the electorate’s aspirations. By moving to a proper campaigning stance we will be able to test our messages with the electorate before, rather than during, an election. I hope that the canvassing work done at conference will mean we never again go into an election as we did in 2010 with a message very few people cared about. The keynote speaker, Bill Randall on Saturday gave us the message that we need to campaign on more than narrow environmental issues to be really successful in elections and in getting a Green agenda implemented. He gave great insight into the challenges and opportunities of running a Council. Brighton’s performance in winning a Parliamentary seat under first-past-the-post and winning 23 Councillors to take control of the Council is an inspiration to us all. That they did much of that on relatively meagre resources shows what can be done with a campaigning party. The unintended consequence of having proportional representation in Scotland has been, at times, to lower the party’s ambitions and to stymie its electoral advance. It was unfortunate that there wasn’t more opportunity to ask some more taxing questions of Bill Randall, as many of us would have liked to hear about the Council’s approach to travellers. At lunchtime on Saturday I went to the EIS fringe. The EIS is Scotland’s largest teaching union. We heard from their President about just how closely aligned Green and EIS policy was, and what the challenges were facing teachers at nursery, primary, secondary and tertiary levels. This was followed by a great address by EIS activist and Green Councillor Maggie Chapman, who put the case for education as a fundamental public good. The second fringe I attended was the UNISON-Scottish Left Review fringe where former MP and MSP John McAllion and Sarah Duncan, a UNISON official talked of the need for Green Jobs to drive an economic recovery. Sadly, Sarah announced that we should stop being ‘deficit-deniers’ and that UNISON disagreed in principle with universal benefits, like a citizens’ income, for which she was roundly taken to task. It was very surprising to find just how much to the right of the Greens officials in major Unions like UNISON are. The Policy motions debated on Saturday included one on hydraulic fracturing or ‘fracking’ (we’re opposed), preventing elected representatives from having a ‘dual mandate’ (holding two elected positions at once – such as Councillor and MSP or MP and MSP) before we moved on to constitutional motions. We also agreed an emergency motion supporting the aims of Occupy Edinburgh and Occupy Glasgow. It was unfortunate that the Saturday afternoon session was dominated by constitutional motions. Almost everyone I spoke to had found this session dull, so it seemed odd to give it a prime slot. And worryingly, the changes made to the committee structure (removing the Policy, Elections and Campaigns and International Committees from the constitution) will mean much more dull and detailed internal debate at future conferences. There’s a very real chance we will now have to debate which committees to have in the coming year each year, taking more valuable conference time and wittering away good-will from conference attendees. On Sunday more time was given over to debate of policy motions. We agreed to update our European Union policy, amend policy on gasification to clarify our opposition to its use for waste disposal and in support of adding community transport to the concessionary travel scheme. The big policy debates came on tax evasion and avoidance, support for members in the House of Lords, hutting and the Jewish National Fund. The most exciting policy development was in participatory democracy. The tax evasion and avoidance policy was passed overwhelmingly with additional reference to a General Anti-Avoidance Principle that would make it illegal to try to avoid tax. It proposes country-by-country reporting of income and the introduction of a tax code of conduct. The post-lunch session on Sunday was devoted to a review of the brilliant away day that was organised by Elaine Morrison in October. The feedback on this session was great, and points the way to more fulfilling sessions at conference. There was a heated debate on a motion to remove Scottish Green Party support for members seeking to become members of the House of Lords before reform to make the chamber elected. In the end it was agreed that, as a radical party, we should not support members seeking to participate in the House of Lords by a majority of around two-thirds. A motion to condemn the Jewish National Fund’s green-wash, to endorse the campaign against the JNF and to remove its charitable status passed overwhelmingly, and was the subject of an excellent lunch time fringe addressed by Andy Wightman and Eurig Scandrett. The motion on participatory democracy prompted a long debate. The motion builds on participatory democracy as the founding principle of the Green Party. It endorses citizens’ assemblies, participatory planning, and further devolution of power to communities and allows Green Councillors and MSPs to arrange public meetings at which they agree what position to take on Council or Parliamentary business. The last scheduled business was on the Thousand Huts campaign. The Scottish Greens are the first party to endorse the hutting campaign. This gives a huge opportunity for Greens to take the lead on a policy that could help revitalise rural communities, enhance leisure time and rebuild our relationship with the land and with our environment. We finished the business of conference with an emergency motion in tribute to the late Campbell Christie, General Secretary of the Scottish Trades Union Congress, who died last week, and who was a driving force in creating the Scottish Parliament. This passed unanimously and sends condolences to Campbell’s family. We finished conference with a speech from Glasgow Councillor Martha Wardrop about the difference Green Councillors are making in Glasgow and could make across the country. It was a fitting end to a conference that sets us on our way for the local government elections next May. I’m sure everyone will want to send thanks to all the conference organisers, and in particular Debra Storr, who put in a great deal of work to bring our Conference to Aberdeen. Thanks for your comment. The UNISON person came looking for an argument about nuclear. She very provocatively set out a pro-nuclear position. And then was shocked that it was her economics that came under attack. I’m quite surprised that Greens chose to take issue with deficit denial, not nuclear, given where the party’s been on these issues. At one point I was told by a very senior party member that Greens top priority should be ‘cutting government waste’, which meant in that case, teacher’s salaries. Progress I think. Unions are often right-wing, but the Green party has by no means universally been left wing in the very recent past. I wasn’t at the conference, but I’d be interested to know which aspects of EIS policy are “closely aligned” with ours. Lower rates of pay for supply teachers? Erosion of maternity and sickness benefits? The creation of a two-tier workforce, better wages as long as you’re permanent, healthy and haven’t recently given birth? Women hit hardest yet again. As for your surprise that most major unions are relatively right-wing, quite frankly, I’m surprised. Support for the Labour Party is often the giveaway. You’ll be telling us next that you thought Labour represented, er, labour!